Lood’s Plumbing, Solar & Gas realised the need for home owners to utilise rainwater, not only to save money but to seriously save water as our dams almost run empty in 2015. We can help design and install rainwater harvesting systems and or Emergency rainwater system depending on the needs of our customer. Lately more and more people started talking about the possibility of “Water Shedding” and it is a scary thought. There are already many suburbs in Pretoria East, Pretoria and Centurion some day’s hours without water. Water is life, and although Load shedding was not pleasant, water shedding will be the ultimate test for any family. Don’t get caught with your pants down, this could be serious. We can design from Budget Water harvesting systems up to very expensive state of the art systems depending on the client’s needs and budget. Our Preferred tanks we use is well known JOJO tanks and for the more elite systems, Rain Cell tanks. 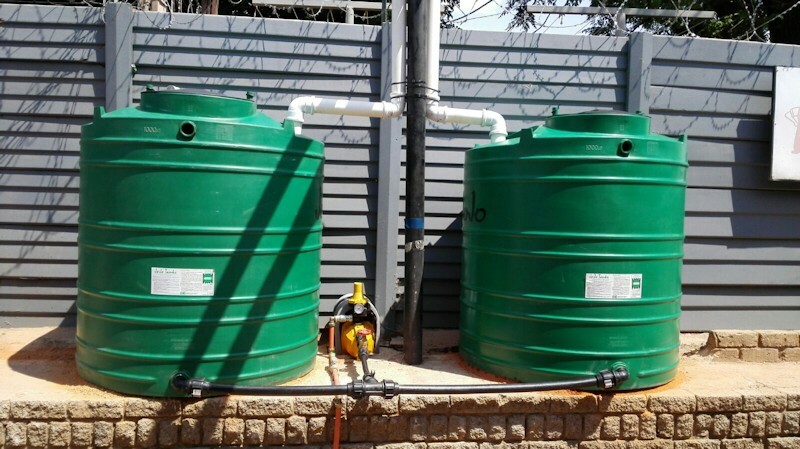 Contact Lood’s Plumbing Services today to book a Quotation for your Rainwater harvesting or Emergency water storage solution.